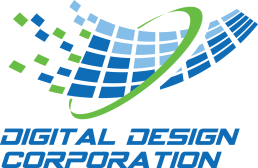 Digital Design Corporation (DDC) designs and develops custom electronic products for a wide range of applications and customers. But we have also developed and manufacture a number of standard off-the-shelf products suitable to the industries we serve. These products are modifiable to suit your needs. DDC also offers a wide variety of Intellectual Property, much of which is used in our products, and all of which is available for your products. We specialize in video/imaging systems and networking/communications, serving military, industrial, research, transportation and healthcare needs. 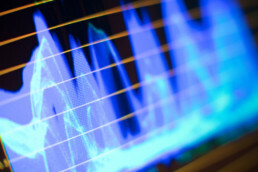 DDC specializes in network endpoints, particularly PoE (Power Over Ethernet) endpoints. Advanced Network Products, a subsidiary of DDC, offers a variety of electronic devices that combine clock, date and bi-directional audio/intercom functions for mass notification. Just plug it into your network cable and it auto-boots, auto sets with atomic time, and is ready to receive/send audio, scroll news/weather/alerts, handle alarms, background music, etc. It works on existing data networks and inter-operates with Cisco and other VoIP phone systems. AVB (Audio Video Bridging) and Time Sensitive Networking (TSN) are new IEEE Ethernet plug-and-play open standards to address the time-sycnhronized, low-latency, determinstic needs of passing multi-channel video/audio/data over your network. DDC offers UNH-certified solutions for this latest open standard to synchronize multichannel video and audio over networks for automotive, industrial, military, commercial and broadcast applications.